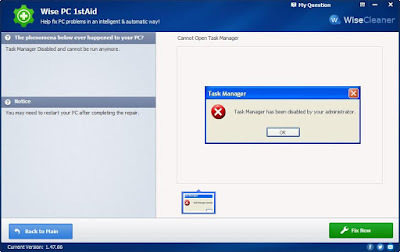 You may face problems like slow internet connection, the problem with desktop icons, slow PC, Task manager, web pages, invalid shortcuts, broken links and much more. You can customize your Windows with the help of many tools available online. 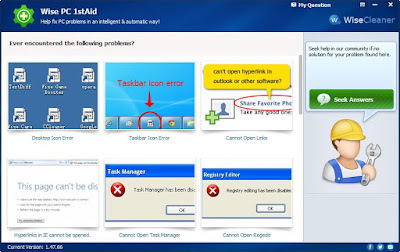 Wise PC first aid is one of the free software among them. 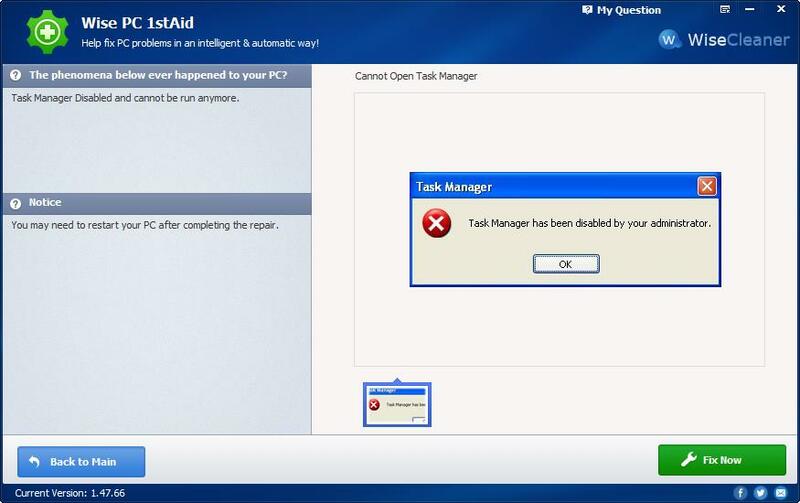 Wise PC first aid is a free tool to repair these types of error in your PC. You can fix any error, which is listed in the above list. You need to click on the link to open it. Now click on “Fix now” to proceed. If this further ask to ‘restart’ then click on yes to complete the process. If you do not find your problem in above list then you need to fill a form with your problem and screenshot of your problem and put that on the website forum. Your problem will be posted there as a post and professional technicians and other users having knowledge about your problem will be delighted to help you. As soon as some replies against your post, you will get a notification in Wise PC First Aid as well as an email to your mailbox. More and more problems that users face day to day will be fixed here automatically. Problem suites library Wise PC First Aid will be updating and enriched time to time. You can download Wise PC First Aid from here.